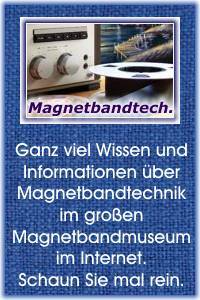 Am Anfang gab es bei den Amerikanern nur Ampex, die diese Idee des deutschen AEG K4 Magnetbandgerätes in die Tat umgesetzt hatten. Alle anderen Pioniere wie Brush Development entwickelten Tondraht- und Tonbandgeräte über Jahre ohne nennenswerten Erfolg, soweit wir das von Europa aus beurteilen können. In den Jahren von 1947 bis 1955 und auch später dominierten in den USA die teuren Importe von Grundig und Uher und die einheimischen extrem preiswerten Consumer Bandgeräte. Da gab es Bandgeräte für 99.- Dollar. Galiliei hätte da gesagt: Und sie drehen sich doch, die 11 oder 15cm Spulen. Es gab aber auch Firmen wie Viking, die eine Position in der Mitte zwischen Ampex Studiogeräten und den ganz extrem billigen Geräten angestrebt hatten. The VIKING 88 Stereo-Compact is a precision in­strument designed and built by Viking of Minneapolis. The recorder was designed for use in critical high fidelity stereo tape recording and playback applica­tions. Refer to the 88 Stereo-Compact Operating Instruc­tions manual for hook up and variation in application. RECORD/PLAYBACK FREQUENCY RESPONSE: 30-18,000 cps ± 3 db at 7.5 ips, 30-12,000 cps ± 3 db at 3.75 ips. STEREO RECORD/PLAYBACK AMPLIFIER TUBE COMPLEMENT: Five ECC83/12AX7; One 12AU7A, two Silicon Planar Transistors, and Semiconductor Rectifiers. INPUT (LOW LEVEL) PER CHANNEL: Two mv for "O" VU; one megohm impedance for microphones. INPUT (HIGH LEVEL) PER CHANNEL: 250 mv for "O" VU; 100 k impedance for tuner. AMPLIFIER OUTPUT LEVEL: Two volts at "O" VU; 5 k ohms impedance "TAPE"; 20 k ohms imped­ance "SOURCE". MONITOR OUTPUT LEVEL: Two volts at "O" VU; 5 k ohms impedance. SIGNAL-TO-NOISE RATIO: 55 db below peak signal level at 7.5 ips. LEVEL INDICATION: Two professional VU meters. EQUALIZATION: NAB 7.5 ips, EIA 3.75 ips stand­ard, automatically selected (record and playback by transport speed selector). TAPE SPEEDS: 7.5 ips, and 3.75 ips instantly se­lected. CAPSTAN DRIVE: Flutter-filter belt drive. CAPSTAN WHEEL: Two pound, non-magnetic, dy­namically balanced. BEARINGS: Oil-impregnated. No lubrication re­quired. CAPSTAN DRIVE MOTOR: Four pole, 60-cycle, 110 volts AC (hysteresis synchronous motors available at extra cost). FLUTTER AND WOW: Less than 0.2% at 7.5 ips. BRAKES: Tandem, 360 degree contact. Play/stop 0.2 seconds. Mechanically adjusted. REEL SIZE: Seven inch maximum. FAST FORWARD TIME: 60 seconds for 1200 feet. REWIND TIME: 90 seconds for 1200 feet. COUNTER: Three digit decimal, resettable. POWER REQUIREMENTS: 125 watts maximum, 110-120 volts AC, 60 cycles. MODEL 88 STEREO-COMPACT: 22 pounds, 25 pounds in shipping container. MODEL 880 STEREO-COMPACT: 45 pounds, 48 pounds in shipping container. DIMENSIONS: Model 880, 14-1/4 inches H., 20-1/4 inches W., 8-1/2 inches D.
Mehr über das Innenleben unseres Viking 88 Musters steht bei Einblicke.